When we talk about the wonder India is, North India is one region that has all the combos which India has to offer you. 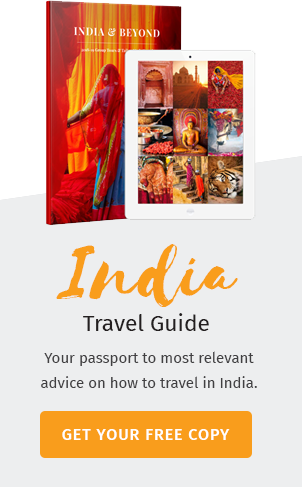 If you want to experience the rush of bustling life, places like Delhi, Lucknow, Jaipur, etc. are the places for you. Some cities that are sure to enchant you with their everlasting bliss are the Beautiful Darjeeling, Mehrangarh, Ladakh and the Thar Desert. With its magnificent culture, heritage and history, North India stands as an epitome of beauty. From the highly tasty cuisine to the amazing tradition of the land, North India is a mixture of all you’ve ever dreamed of. Get soaked in the beauty of this region with its exotic desserts, deep valleys and magnificent mountains. Rajasthan, the land of the Kings is a never ending maze that keeps you occupied by the trove of places it has to offer for the tourist in you. Either it’s your first visit to Rajasthan or the umpteenth time, it always has something mysterious and exciting for you to look forward to. 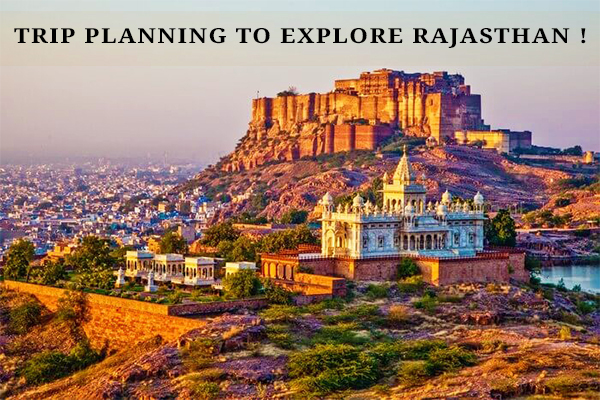 From the Thar Desert to the Aravalli range, Rajasthan has a lot to showcase to its tourists. The climate is a tropical one considering its proximity to the Thar Desert where the summers are intense and the winters get chilly over there. This diverse state is the home of the clan of the Rajputs, who are famed for their valor and are the warrior clan who descended from the Moon, Fire and the Sun. The arid climate and water scarcity has an effect upon the land and this led to the evolution of foods which can be stored for a long period of time and yet can be consumed in perfection. If you are a food over, the Rajasthani cuisine is a haven of lip-smacking food for you to try out. As you take a break from the gorge of cuisine, you can turn your attention to the extraordinary forts and palaces of the state. If the monuments and forts could talk, they would tell you the story of the valor and glory of the Rajasthani kings and queens who lived in the palaces and forts. These wondrous monuments stayed on even after the saga of Kings to reminiscence the story of their great rulers. Rajasthan has a long history dating back to the Stone ages. The land was home to the brave kings of Indian history like Prithvi Raj Chauhan, Rana Pratap and Udai Singh. The best time to visit this state would be between the months of July to September which is during the monsoon season. The epitome of the Rajasthani heritage is portrayed widely in the forts and palaces that are a testimony to the history and heritage of the state. The forts and palaces of Rajasthan are an epitome of the everlasting architectural and cultural marvel of the Kings. Each and every fort in the land is designed specifically to suit the needs of the people and the land. Rajasthan is truly appreciated in history for the beautifully set forts atop hills which look over the land with a protective gaze. 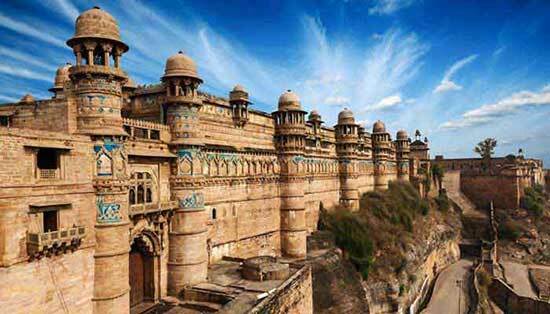 The Jaisalmer fort, Amber palaces, Kumbhalgarh fort, Chittorgarh fort and the Ranthambore fort are forever praised by historians for their part in history. Umaid Bhavan palace, Lalgarh palace and the City palace are some of the other palaces worthy of taking a visit. 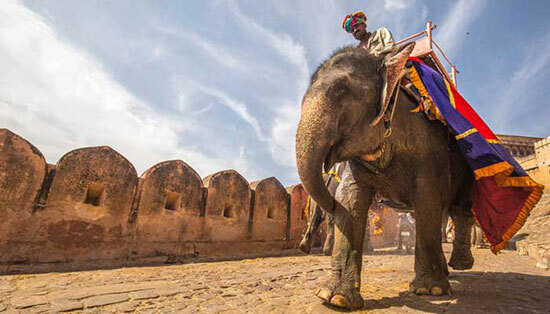 The Amber fort in Rajasthan offers the pleasure of an elephant safari up till the main entrance of the fort. The elephants are decorated with patterned paints and transfer visitors up the slope of the hill to reach the fort. The entire ride takes around 20 – 30 minutes riding on these majestic yet cute creatures is a fun activity. This incredible safari takes you through all the areas near the fort like Sun gate, Jaigarh fort and Cheel ka Teela. 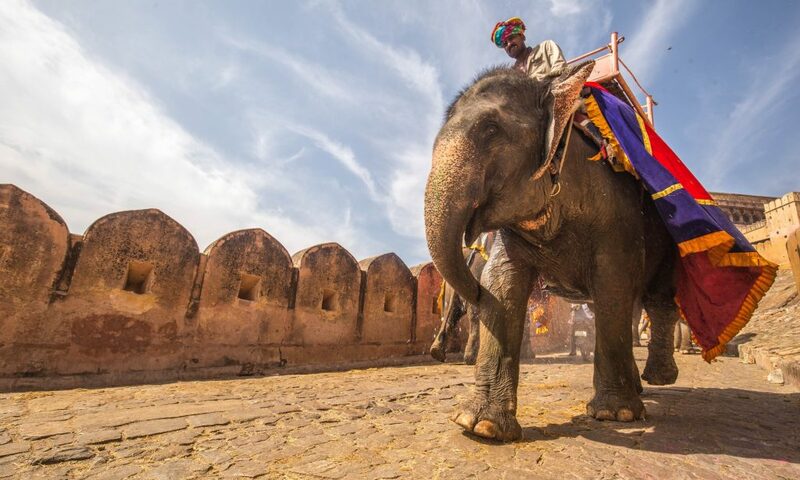 Apart from the elephant safari in Amber fort, every year the elephant festival is held in Jaipur where the elephants are groomed beautifully and allowed to walk in front a galla of audience. They move with poise for pageant, play polo and race against each other finally participating in the festival of Holi. One of the most memorable experience for visitors is the camel safari at Pushkar. There are also night camel safari in Pushkar which is truly a delight. A photographer’s pleasure, the camel safari allows you to click away on your cameras as you ride on the camel. During the safari, you will reach the Pushkar adventure desert camp which gives you a natural and wonderful scene away from the bustling life. The evening goes with bonfire, buffet dinner and folk dances by the local gypsy tribe. As the sun rises for another day you will be dropped by the camels back to your hotel or the Pushkar fair grounds. All these and more make Rajasthan a truly memorable holiday destination to visit.